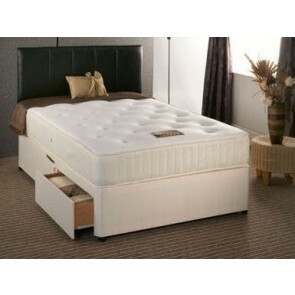 We have an excellent range of 5ft king size divan beds for sale here at Divan Beds Centre. Coming in a range of styles, finishes and designs, whatever type of divan bed you are looking for, we will be able to help. With spacious and well functioning drawers fitted into every base, all of your storage needs can be taken care of well with a bed from our king size range. From extra storage for clothing and shoes to a place to keep childrens’ toys or games, the extra storage space incorporated into a divan bed can make the difference between an organised home and one filled with clutter. 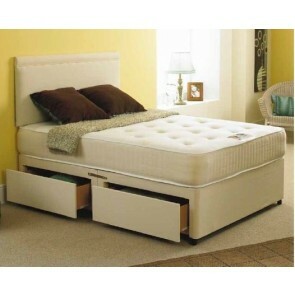 There are drawers that open horizontally into the room but also divan beds with drawers that use a sliding door. These are perfect for rooms that have limited space on either side of the bed. It is possible to buy just the divan bed base only or you can purchase the full package of base, mattress and even headboard. You are sure to love our prices as well as our range of products. In fact we have an extensive collection of bed accessories and other products so you can not only choose the most comfortable bed for your needs, you can also “dress” it to suit your personal style and taste. Our mattresses vary in design and you can choose the type that suits you best. There are coil sprung mattresses, pocket sprung mattresses and also memory foam mattresses, all available to fit our range of 5ft king size divan beds. Pocket sprung mattresses are most suitable for people that tend to fidget whilst asleep as the individual springs found in the mattress can absorb weight better and ease pressure on the vertebrae in the spine. 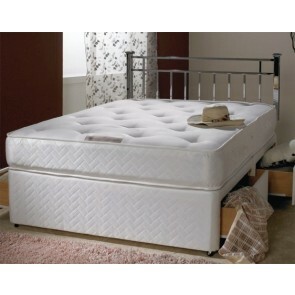 Memory foam mattresses are very luxurious and mould themselves to your body for a peaceful and uninterrupted sleep. 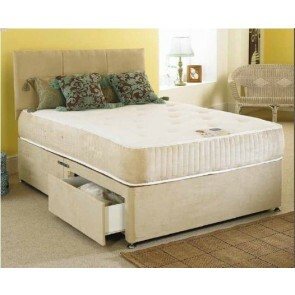 We also have a few different types of bed base to choose from including both solid and spring bases. If you are not sure what type of base would suit you best or what type of mattress you would prefer then why not contact a member of staff here at Divan Beds Centre. A member of our friendly team can talk you through the options available and discuss which might be more appropriate for your needs. 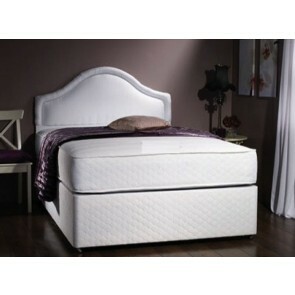 We are delighted to be able to offer the full range of divan beds here at Divan Beds Centre. You can simply click on the link of the bed you would like to view, and from here you can choose the type of base you would like, the type of mattress you want and the style of drawers you are looking for. Purchasing your beds through our website couldn’t be simpler or more secure and we organise delivery for you. You can have your bed just a week to 10 working days after ordering and with delivery right to your door, it couldn’t be easier buying a bed from us. If you are looking for a new 5ft king size divan bed or any other type of divan bed then you have come to the right place. Browse our site or contact a member of our team to find out more about us and the beds we have available. 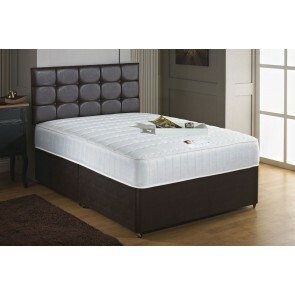 5\' King size divan beds (150cmx200cm,60inx78in ) are available with following mattress types. 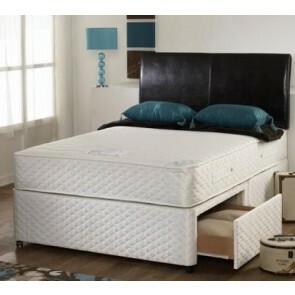 5\' Kingsize divans are available with a choice of either sprung bed base or platform top bed base. There are many storage options available to chose from .